The fast and rugged Spad XIII was among the most successful fighters of the First World War. It was flown by some of the most famous air heroes of the war, such as Guynemer, Fonck, Nungesser, Lufbery, Luke, and Rickenbacker. 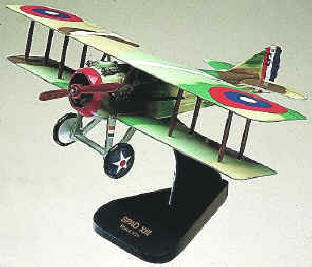 The original Spad aircraft manufacturing company was formed in 1910. The acronym Spad was derived from the company's formal name, Soci�t� pour les Appareils Deperdussin. Spad was taken over in 1914 by the famous aviation pioneer, Louis Bl�riot.  Herenamed the company Soci�t� pour l'Aviation et ses D�rives, thus retaining the same acronym. 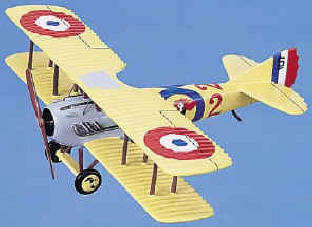 Six versions were built before Spad VII were entered French squadrons in 1916. More than five-and-a-half thousand Spad VIIs were built. 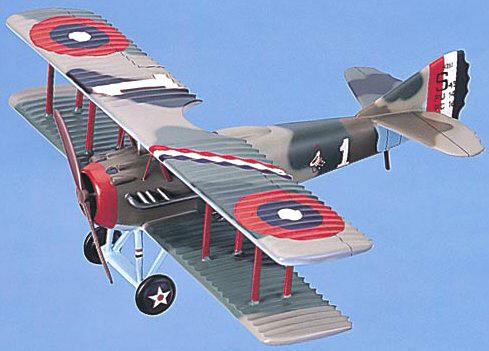 The Spad XIII was a larger, improved version of the earlier Spad VII. The prototype Spad XIII made its first flight on April 4, 1917, and by the end of the following month, production aircraft were arriving at the front. The aircraft was particularly noted for its robust construction and its ability to dive at high speed, features that made it one of the best dog-fighting airplanes of the war. 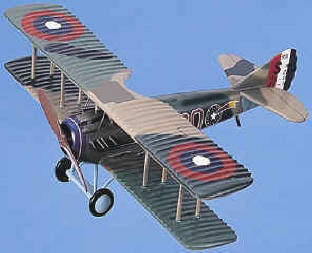 The Spad XIII was produced and deployed in great numbers. By the end of the war, 8,472 had been built. 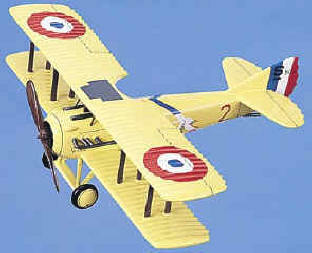 Almost every French fighter squadron was equipped with them by the end of the war, as well as the American units that were part of the American Expeditionary Force. Spads were also used by the British, the Italians, the Belgians, and the Russians. Only four Spad XIIIs survive. 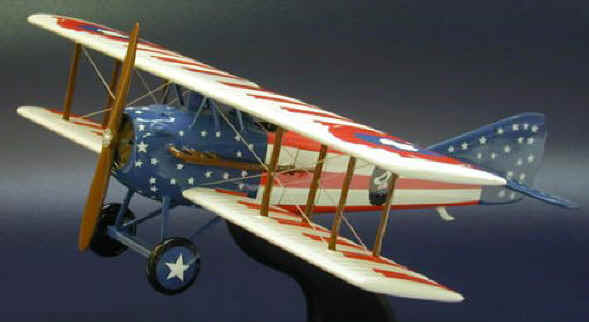 After the war, Major Robert L. Walsh, a member of General William Mitchell's staff, proposed the idea of sending two Spad XIIIs to the United States, one of which was Smith IV. The airplane toured the country as part of Liberty Bond drives. 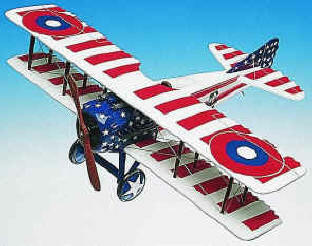 It was given to the Smithsonian Institution by the U.S. Air Service in December 1919. 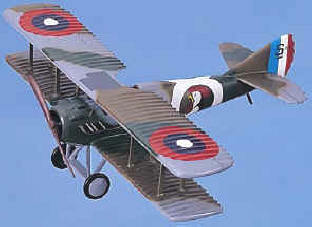 In 1984-1986, it was fully restored and placed back on public display in the museum's First World War aviation gallery. Premier Series. 1/23rd scale. 16.5" wingspan x 13.5" length. Premier Series. Same info as above. New model in our Premier Series. 1/23rd scale. 16.5" wingspan x 13.5" length. 13.35" wingspan x 10.15" long.